Another of those 'guest' albums, featuring mainly individual vocalists singing songs from the Stanley repertoire, with the CMB's providing most of the back-up. 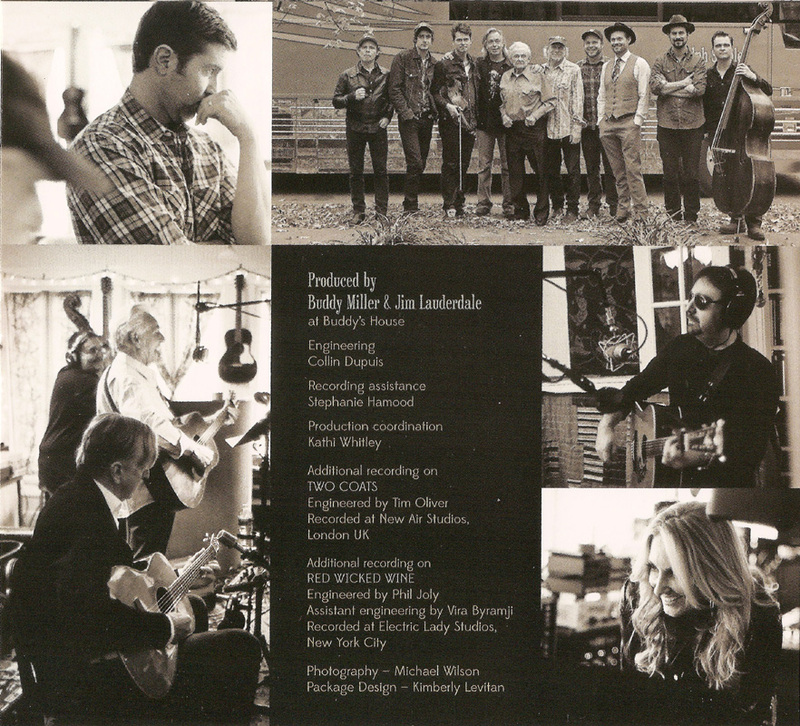 The sessions took place in November 2014 at Jim Lauderdale's house, with additonal help from Ronnie McCoury - mandolin; T Bone Burnett - guitar; Paul Kowert - bass & Ralph II Stanley - guitar. On some tracks Ralph's involvement is mainly confined to singing back-up, but there are exceptions. 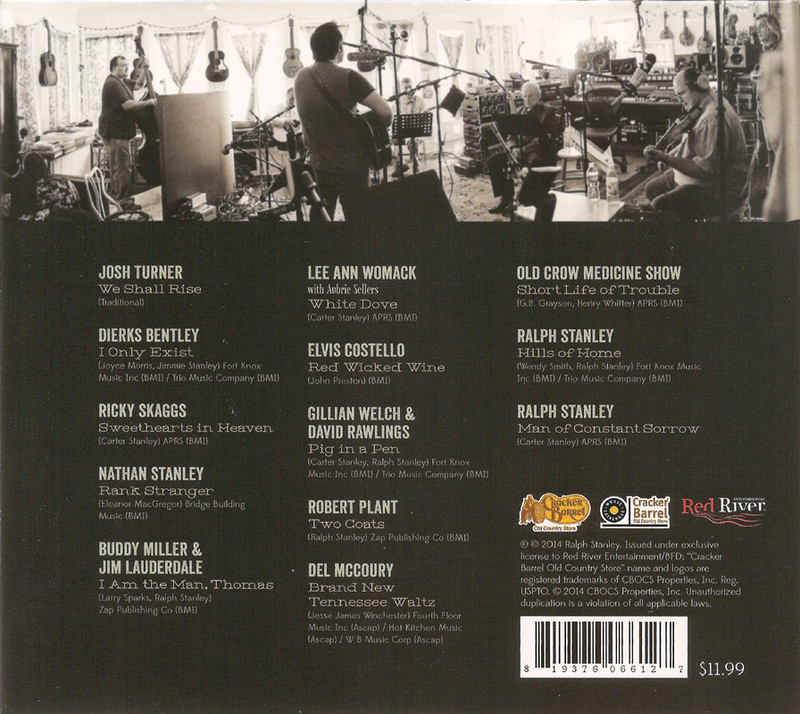 Ralph sings lead on the chorus to Rank Stranger and shares lead duties with producers Buddy Miller & Jim Lauderdale on I Am The Man, Thomas. 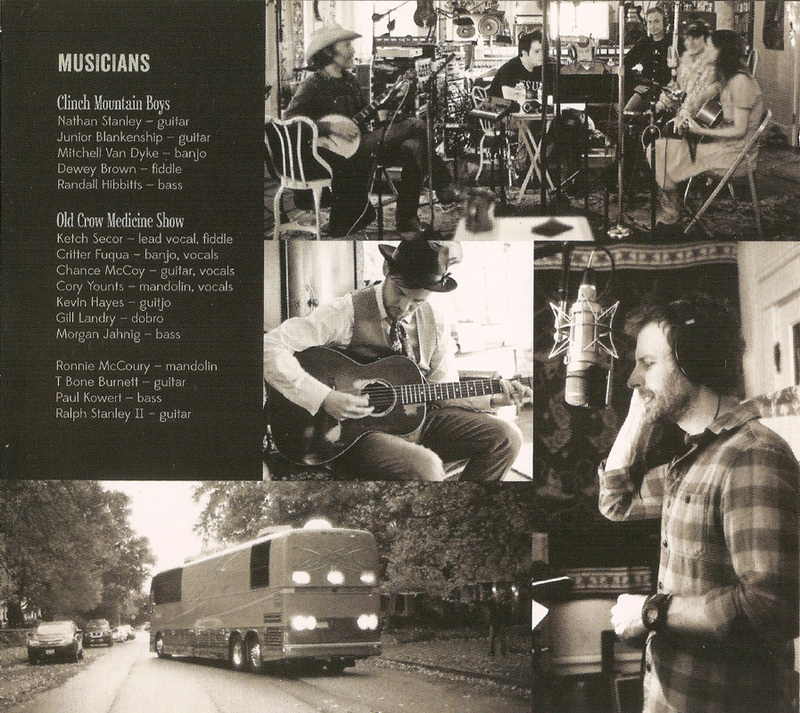 A couple of the tracks have quite imaginatve arrangements - Gillian Welch & David Rawlings version of Pig In A Pen features Rawlings on clawhammer banjo, and Two Coats with Ralph and Robert Plant sharing lead vocals is atmospheric with droning fiddle backup. 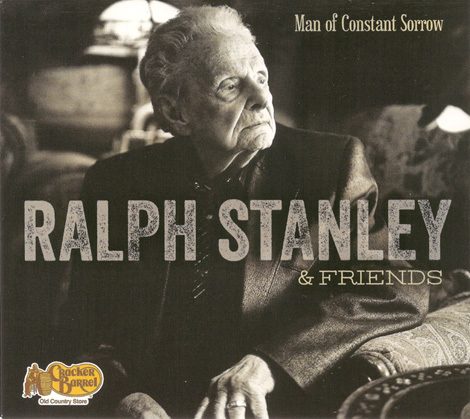 To close the album Ralph sings a ragged but heartfelt rendition of the Hills Of Home tribute to Carter, and his signature song Man Of Constant Sorrow. The CD was sold through the 'Cracker Barrel' restaurant chain/website. Ralph would have been 87 when this album was recorded, and although his voice is no longer what it was, I'm glad be got to record this one, and glad too that he's obviously had such good supportive family/friends.